These values are followed by the Grander family and the large GRANDER® community worldwide. 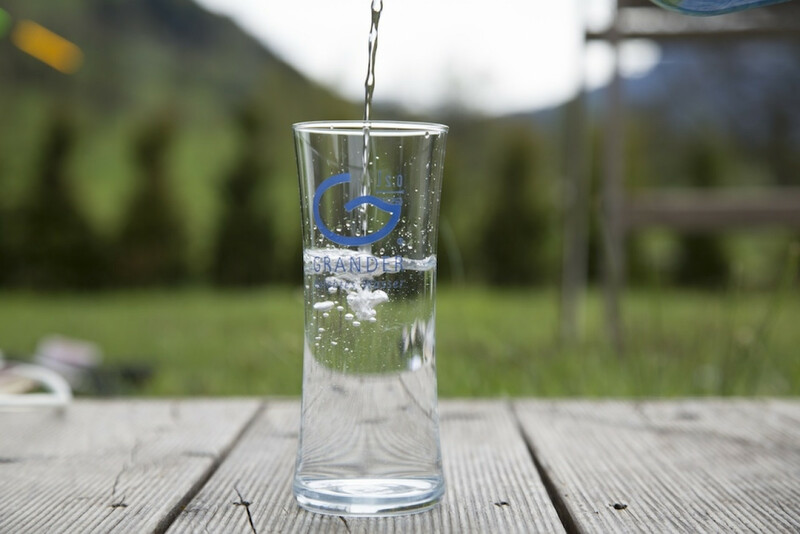 Whether in China, Norway, Austria, Italy or South Africa, the logo "G" stands for a unique water quality, for the well-being of all humans as well as animals, and for the welfare for nature and the environment. GRANDER® is a brand-name, registered in the international trademark register, and is "positively" saved in the minds of people, which is far more important. The Development of the tradename "GRANDER®"
In the beginnings of Water Revitalization, a small circle of Johann Grander's friends, relatives and acquaintances tried the "revitalized water" and reported about positive experiences. Everybody referred to it as "GRANDER® Water", which was deemed by the modest Johann Grander as pretentious. He tried to name the water "magnetic water", but everyone referred to it as GRANDER® water. Thus, the commonly used name became the tradename, that was registered officially on March 27th, 1996. Even the term "Water Revitalization", that is used quite frequently today, originates from Johann Grander. There are other companies on the market today offering Water Revitalization, however only GRANDER® works with the water as an information carrier. Therefore, GRANDER® has been on the market for more than 3 decades and has gained a high level of popularity as well as wide-reaching acceptance.